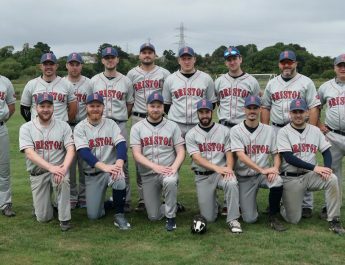 It was a mixed weekend (Sun 31st July) for Bristol Baseball Club with the Bats defeating Plymouth Mariners 20-14 and the Badgers falling to champions Taunton Muskets 20-4. 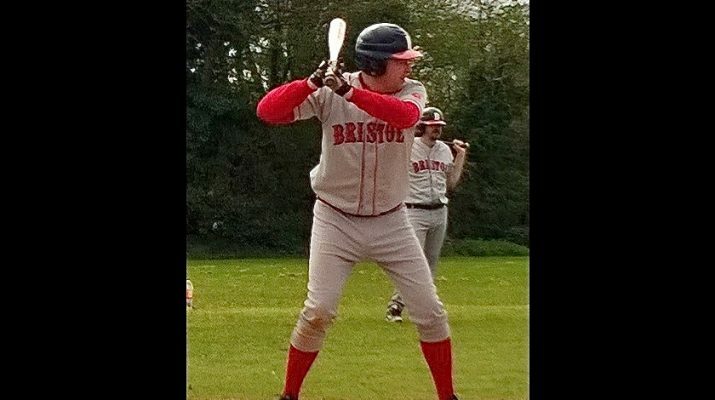 Bristol Bats took on the Mariners at Failand, coming out on top in a hard fought game to take revenge for the defeat by the Devon side at the beginning of the season. Several of the Bristol players had good days at the plate as the Bats scored consistently throughout the nine innings. Second baseman Paul Gardiner got on base every time he came up to the plate, contributing three RBIs (runs batted in) while Rich Green and Luke Looney both hit rare triples. MVP Dan Looney had another solid all round game, pitching eight innings as well as knocking in three RBIs. “It was good to rebound after the defeat by the Badgers but errors in the field meant it was a lot closer than it should have been,” said Ricky Gellatly, the Bats manager. In Taunton, the Badgers were up against the Muskets and an inconsistent strike zone. Despite two home runs and three RBIs from MVP Tom Hollies, who also pitched the whole game, the Bristol team couldn’t keep the champions in check. Third baseman Nick Ball, provided the defensive highlight with his lead role in a double play, taking a stinging catch before throwing out the runner at first base. Both Bristol teams are in action next Sunday (7th August) with the Badgers travelling to Plymouth and the Bats welcoming the Taunton Musketoons to Failand.